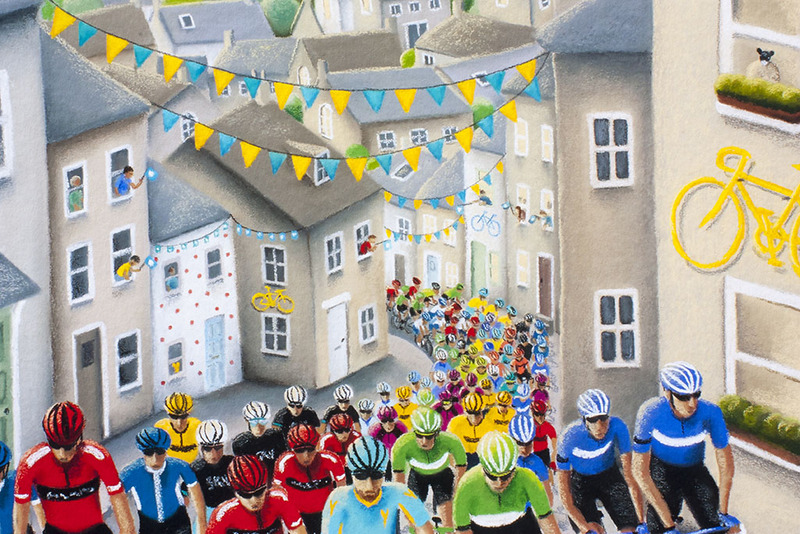 The official picture for the Tour de Yorkshire 2017, entitled ‘Pedals, Passion and Glory', depicts the excitement in the towns and villages as the Peloton races through the streets creating a rhapsody of colour against the muted tones of the buildings. 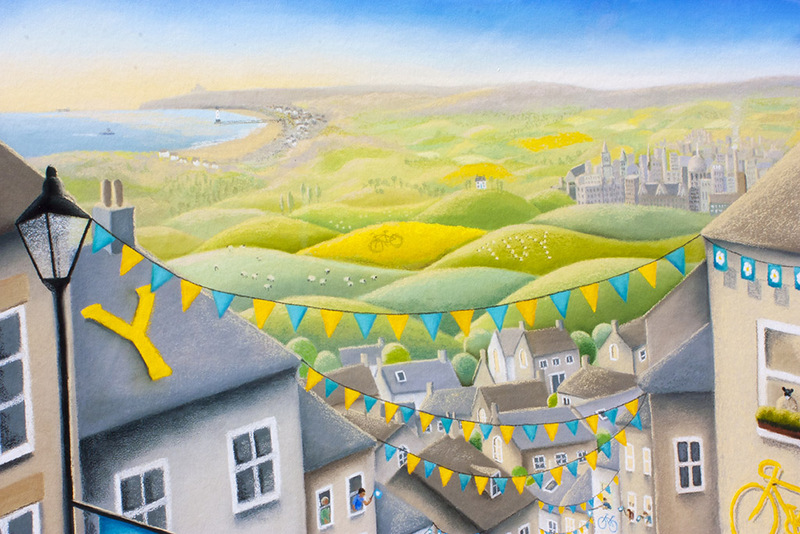 The beautiful backdrop of Yorkshire's iconic scenery perfectly frames the picture as the sun graces the coastline and rolling hills leading into the towns and cities. 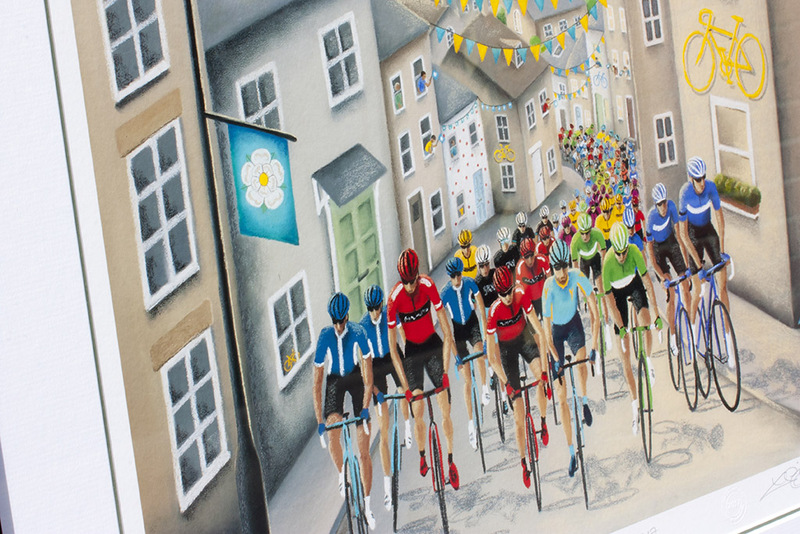 Available in two sizes, this limited edition print is a must have as a perfect reminder of the 2017 Tour de Yorkshire. 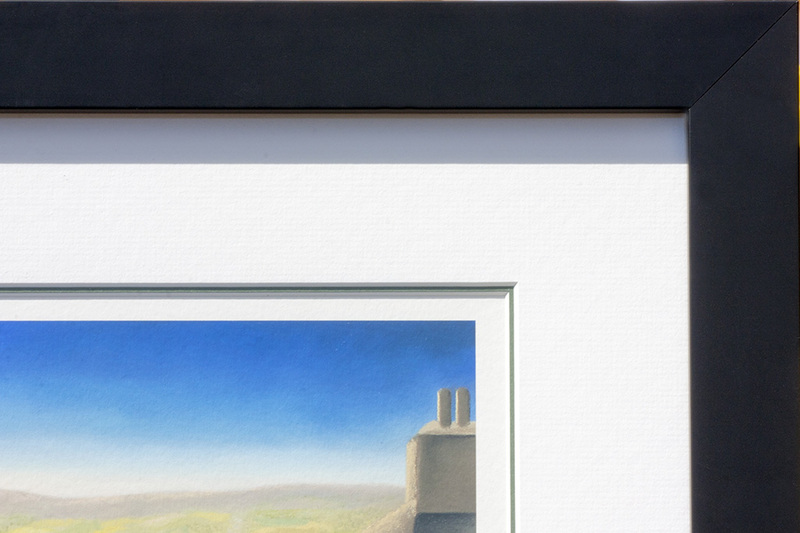 This image has been printed on archival quality 315gsm Fine Art Paper using industry standard lightfast inks. 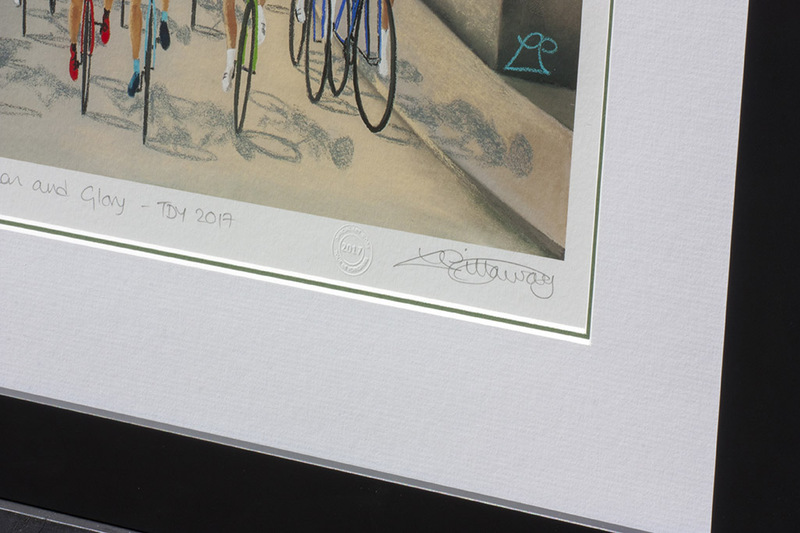 Each print comes personally signed by the Artist and carries the official art work of the Tour de Yorkshire 2017 stamp. 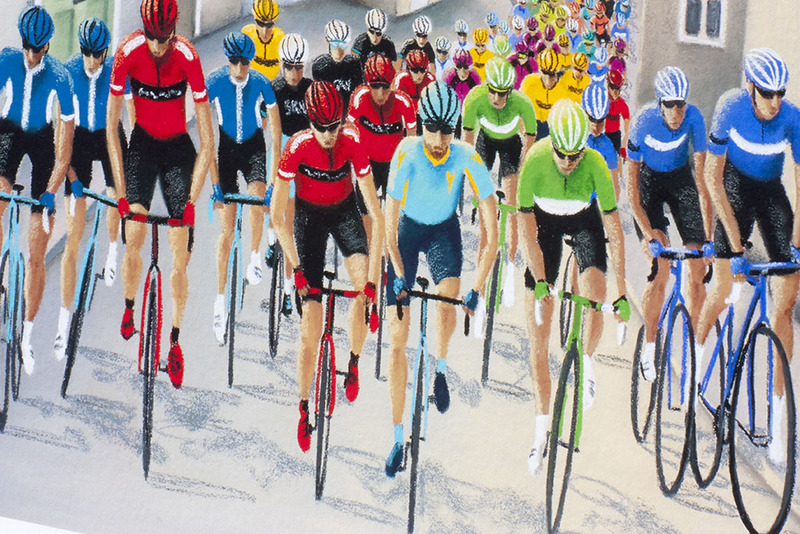 Pedals Passion and Glory is available in two sizes.